← Great Experience at INTEGRATE 2017 in London! Programming for Service Fabric is not necessarily that difficult, but it can be a learning curve to understand how to implement services that take full advantage of the platform – especially when it comes to leveraging the built-in resilience across stateful replicas, designing a partition scheme, and managing inter-service communication. Fortunately, Microsoft has provided several sample applications to help get started. The demo worked really well, and the code is available on GitHub. 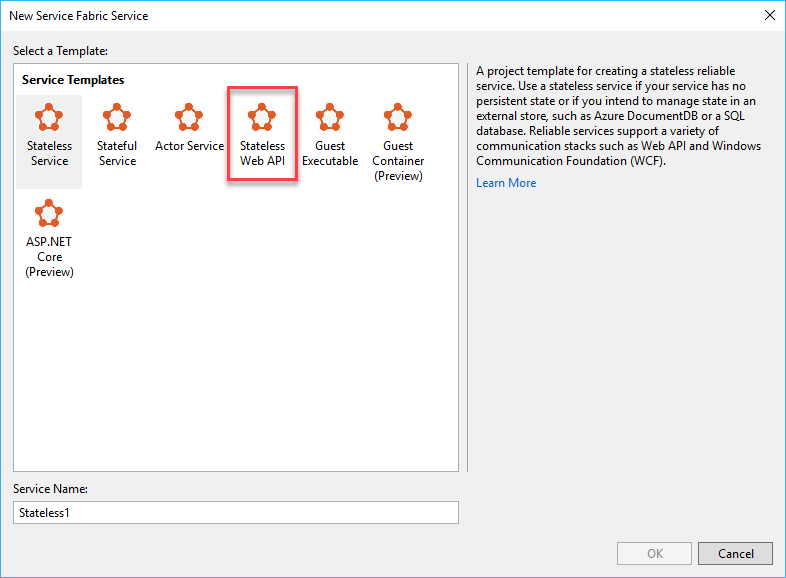 If you export the package and deploy it to a Service Fabric cluster running the current runtime version (5.6.220.9494 at the time of writing this), the application will work as expected. You can also open the solution in Visual Studio 2017 (I used the Community edition, v15.2 with updates and the latest Service Fabric SDK installed) and it will also compile and deploy in debug mode. Notice the difference? 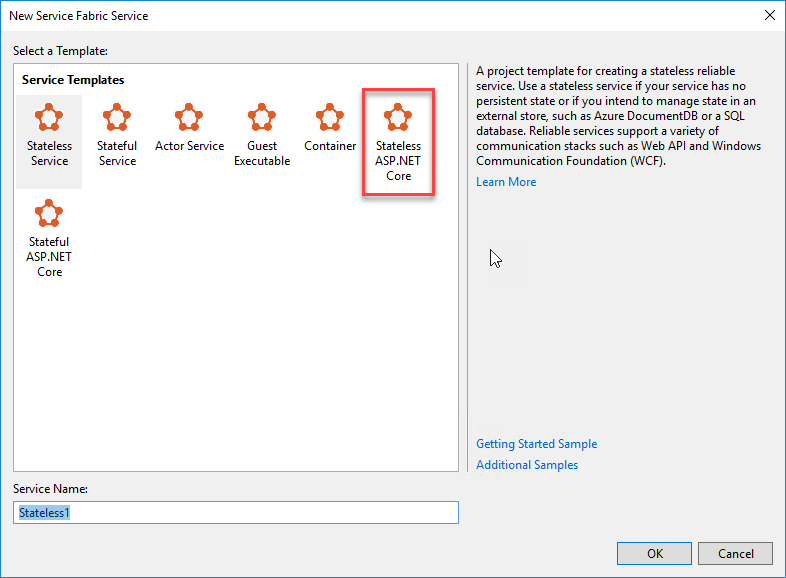 “Stateless Web API” has now turned into “Stateless ASP.NET Core” – indicating Microsoft’s commitment to ASP.NET Core. 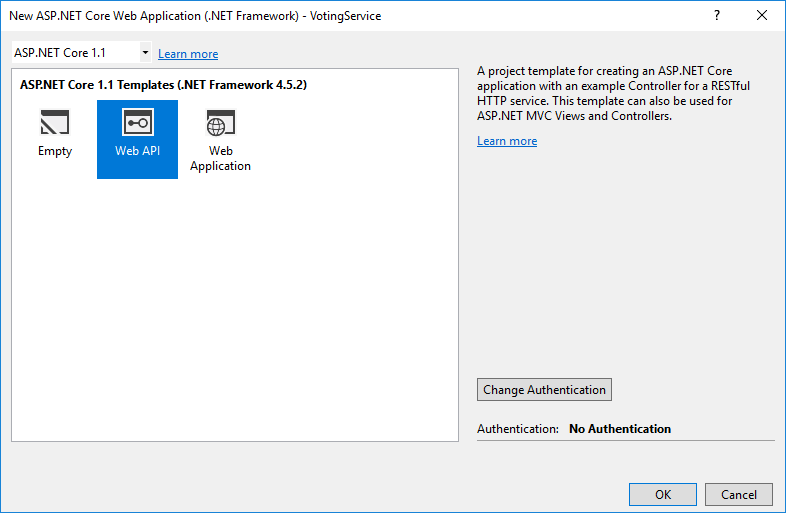 If you want to migrate your Web API to ASP.NET Core, you will need to make a few changes to the code. Here are the changes I needed to do to migrate the Voting application (assumes that you are starting with my version of the original solution available on GitHub). 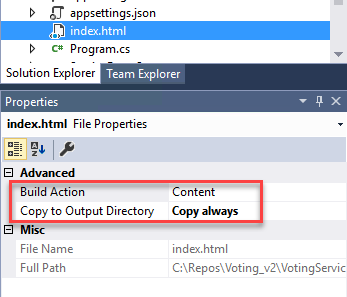 I found it easiest to just create the solution from scratch in Visual Studio 2017 (start with a Service Fabric application named “Voting”) and import/copy the code from the original where indicated below. 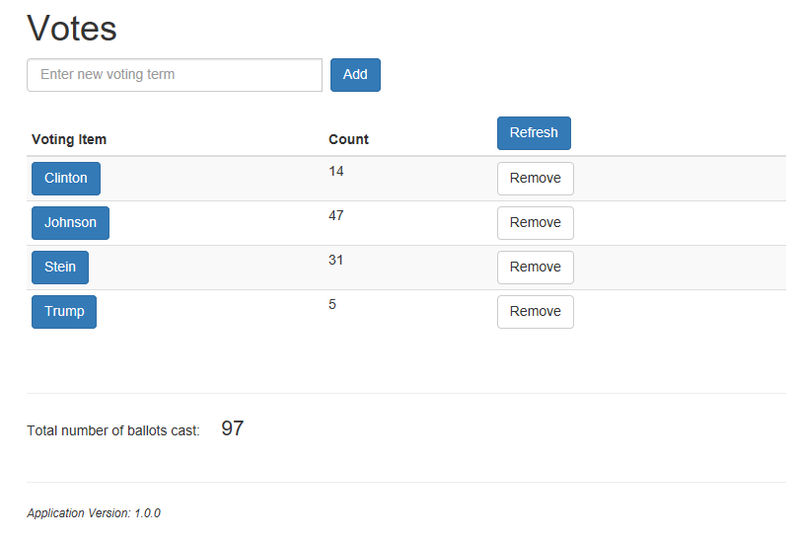 Add a project reference to the VotingDataService project. Build and deploy! The app should work the same way as the original version. NOTE: Do not run the app in Internet Explorer 11 as I’ve found it won’t work. Try Google Chrome or another browser instead. Note that the code in the Controller class is much simpler! And there is no need to use an HtmlMediaFormatter class as in the Web API version. The final version of this can be found on GitHub as well. Of course, just days before I finally got around to publishing this, Microsoft released its own version of an upgrade for this app! However, they’ve re-implemented it as a proper MVC app instead of an SPA. Still, they have not included updated lab instructions to build it yourself. Hopefully I will get to do this sometime soon and will attach it to the GitHub repo. Reblogged this on BizTalk on Fhir™. 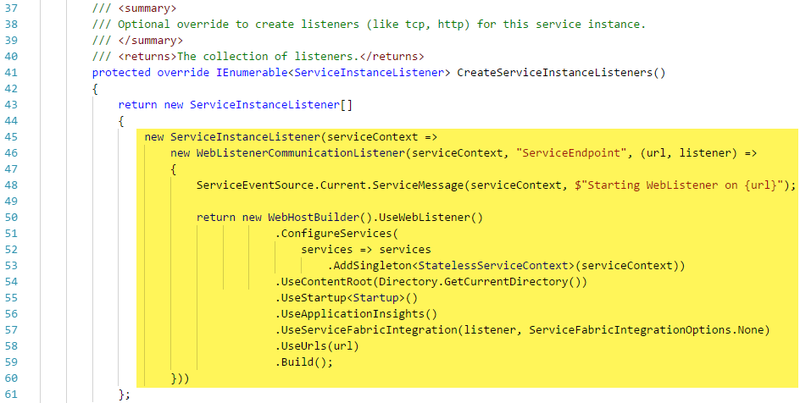 This is great, thanks – however I had an issue with WebListenerCommunicationListener as I am using ASP.NET Core 2.0. This was resolved by using HttpSysCommunicationListener instead and installing the Microsoft.ServiceFabric.AspNetCore.HttpSys package to use instead of the Microsoft.ServiceFabric.AspNetCore.WebListener package. How would you implement partitions on both services (Web + Data)? I wander how it would look like in the CreateServiceReplicaListeners method. One thing to be aware of is that partitioning would not be required on the stateless service, as you can simply deploy that on all nodes and requests would load balance automatically. It’s really only applicable to the stateful service. The first challenge would be to come up with a good partitioning scheme, something that you would expect to evenly distribute the service calls.